Oh boy! I don’t even know what to do with this one! On my list of places to visit, especially after attending The Barn Sale. Yep–it is so close to you, too. You can just jet over for a quick look one afternoon and enjoy everything. I am sure there will be tons of different stuff there other than what I highlighted on my blog. This would make a great prompt for a 100-word story! 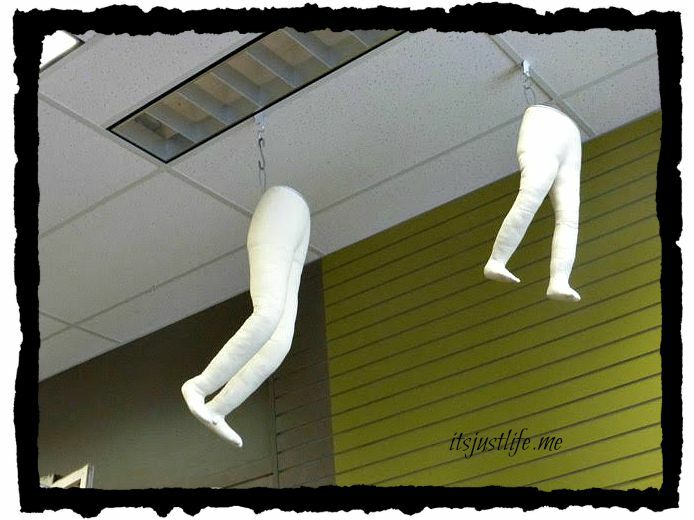 Are they the bottom of manequins or are they plaster leggings? I think the bottom of mannequins. They looked “fabricy” and not hard. But how fun, right?